Preheat an oven to 400 degrees. Butter standard muffin tins. In a medium bowl, stir and toss together the flour, sugar, baking powder, baking soda, salt and cinnamon. Set aside. In another medium bowl, whisk together the milk, butter and eggs until smooth. Add the combined dry ingredients and stir just until blended. Add the blueberries and stir just until evenly incorporated. Spoon into the prepared muffin tins, filling each cup about three-fourths full. 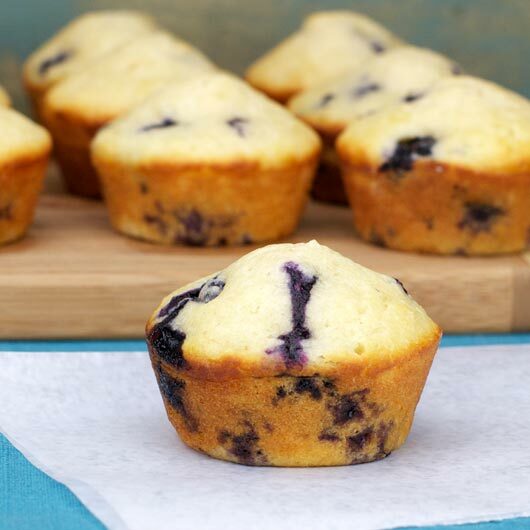 Bake until a toothpick inserted in the center of a muffin comes out clean, 15 to 20 minutes. Cool in the tins for 5 minutes, then remove. 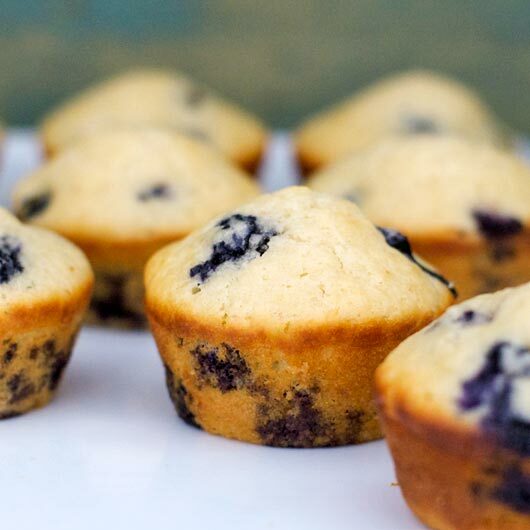 This tasty recipe is best with fresh blueberries. If you have frozen, that's okay. Just don't thaw them first. Put them in the batter frozen. Otherwise, you're muffin turns too purple. Recipe number 53. Submitted 4/25/2002.